I'm sure everyone is aware that MYER is currently doing a GWP offer on Revlon Cosmetics. I first read about this offer on Beautyinabottle's Blog and was extremely excited. The offer is that if you spend $39.95 on any Revlon Products you get a free gift. 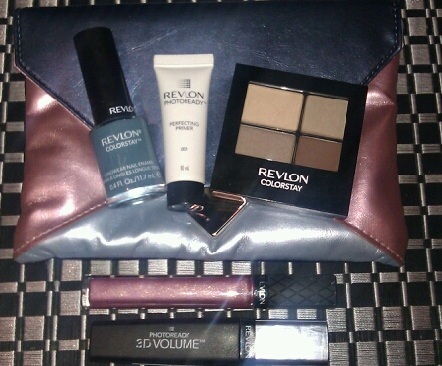 The choice of gifts are between the Revlon Addictive Pack or the Revlon Adventurous Pack. 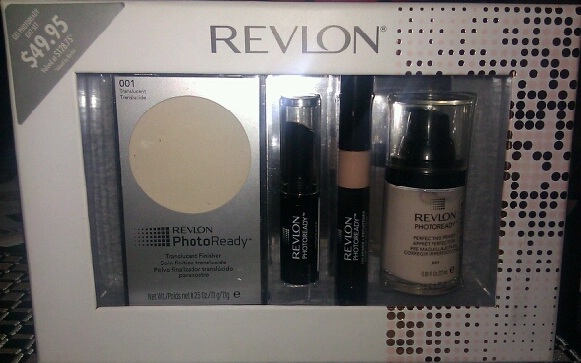 Revlon has recently come out with some Fantastic Value gift sets so i thought why not pick one up and take advantage of the free offer. I Bought the "Get PhotoReady" gift set for $49.95 . On the box it says the value of the items are $128.75 in total but i'm pretty sure it's slightly less than that but either way $49.95 is good value for this box. Included in this set are 4 FULL SIZE products: PhotoReady Translucent Finisher Powder, PhotoReady Perfecting Primer, PhotoReady Concealer in Light/Medium & The PhotoReady Eye Primer + Brightner. I've only used these items once each so i cant really tell how well they work but I will be using them more often and reviewing them in the future but for $50 for a gift set this is great value if not for yourself then for a loved one. On to the free gift. I chose the Addictive gift simply because i was more drawn to the Blue Nail Polish as the other gift option had a Baby Pink Nail Polish and i already own many of those. 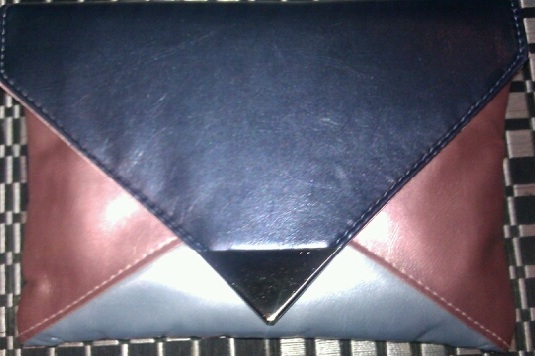 All items where wrapped in tissue and placed inside this cute little clutch which is more wallet sized than anything. I'm not the biggest fan of this bag simply because its to small to use as a clutch but it is pretty and would make for a nice make up bag for travelling or even as a gift/giveaway to a friend. I picked up both bags/gwp. might go back and get that gift set that you got as it looks amazing. I've been eyeing off this GWP ever since I got an email from Revlon about it. Hopefully they will still have this at my local Myer because I've finally decided what I want to buy to get it. I like the look of the other GWP, only because it comes with a lip butter.